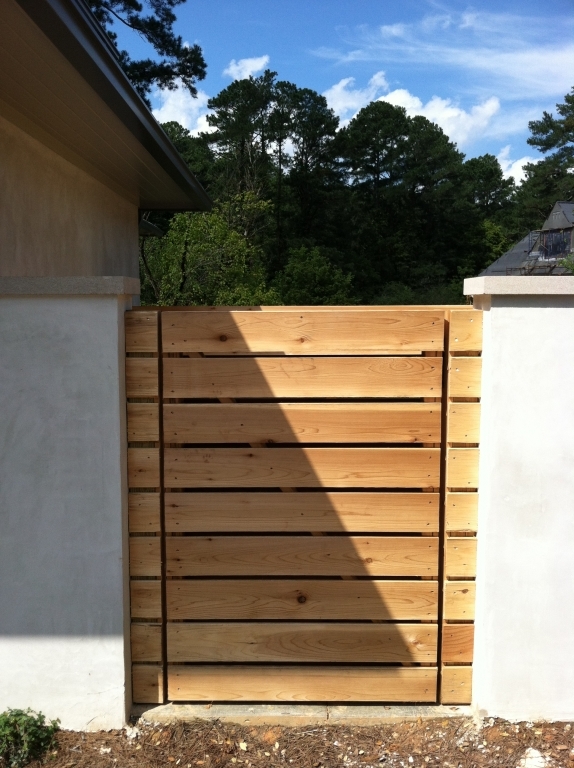 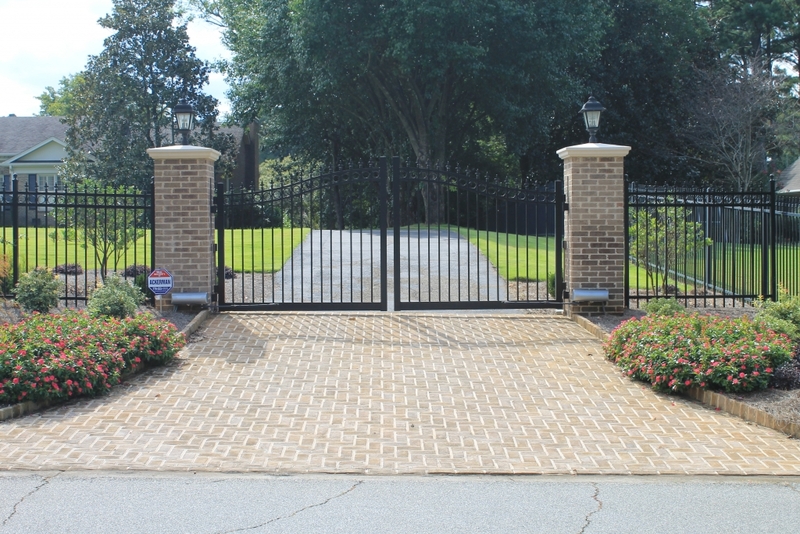 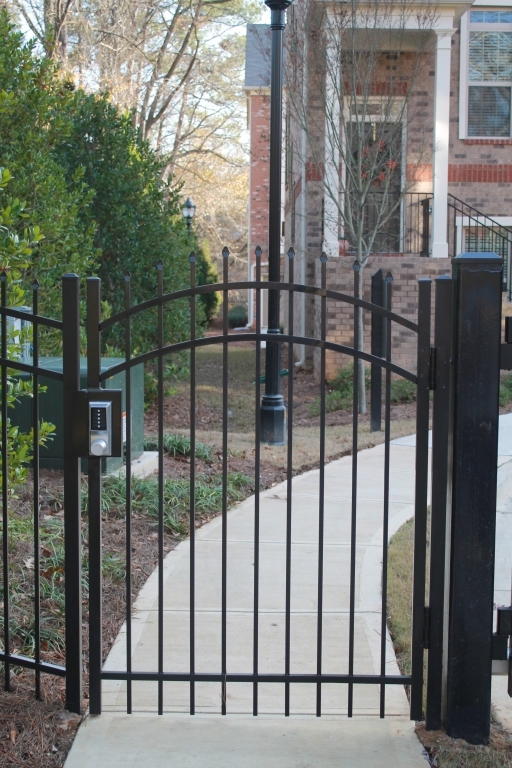 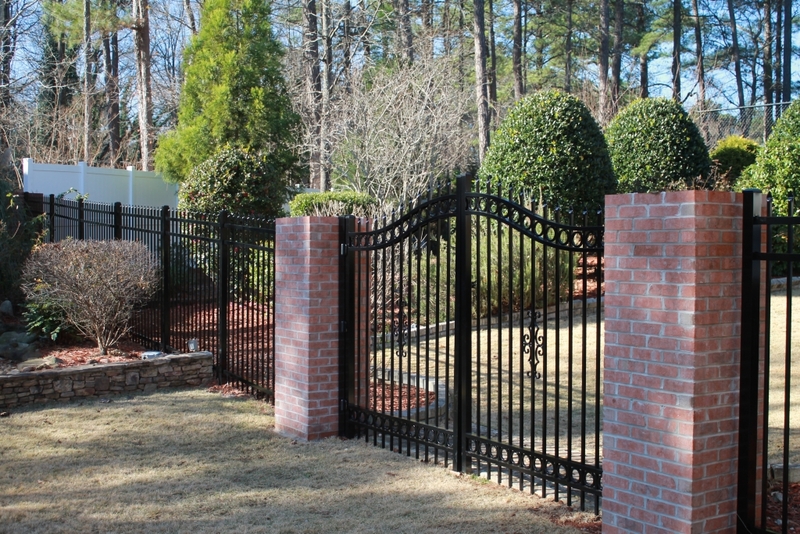 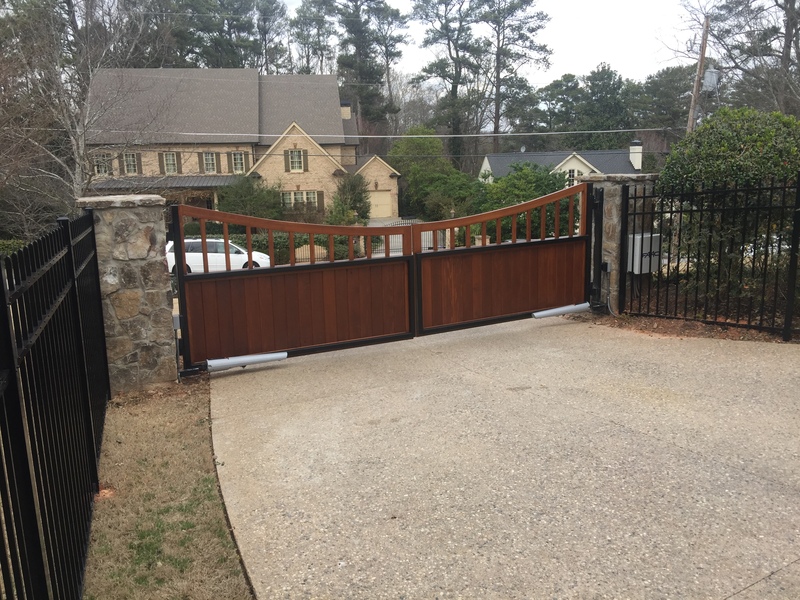 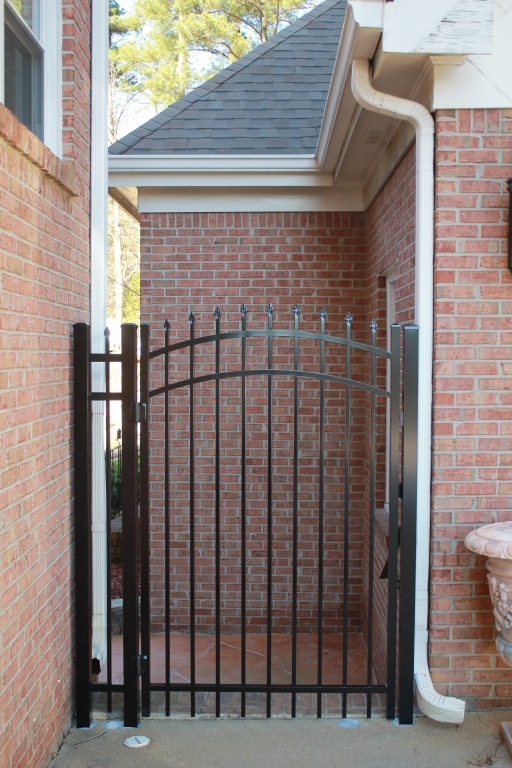 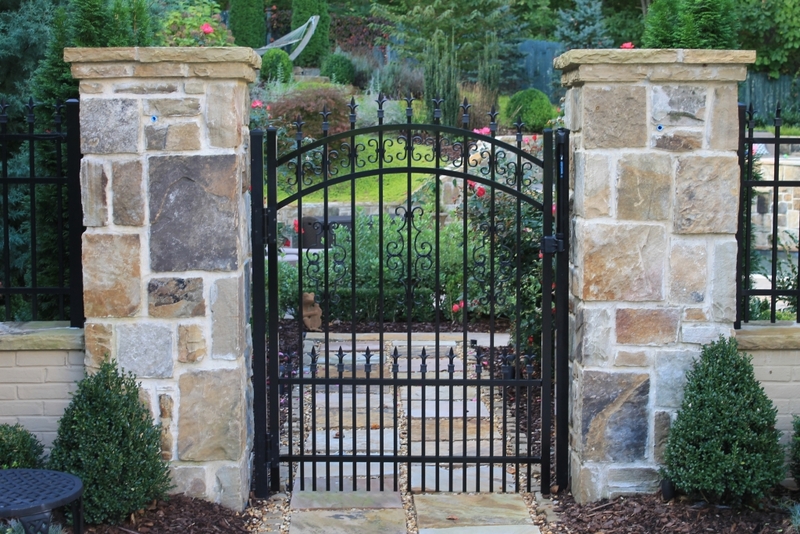 Arched Estate Gates w/ Access Control & Custom Brick Columns w/ Caps. 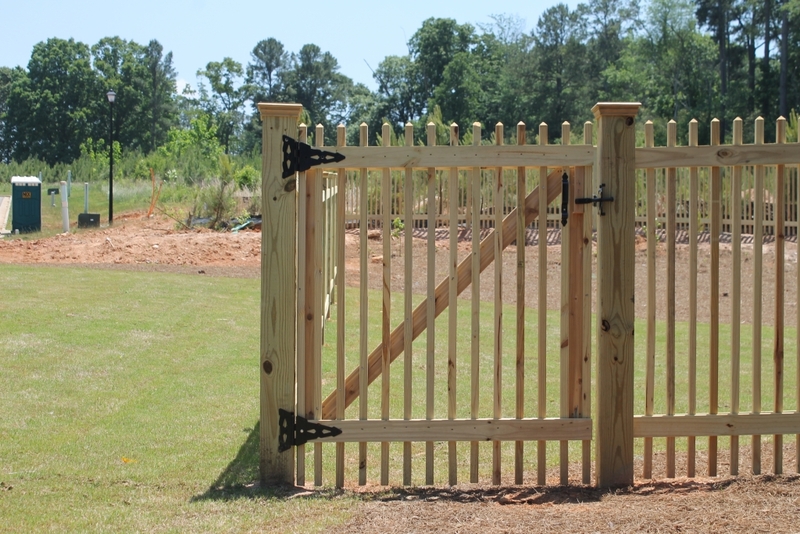 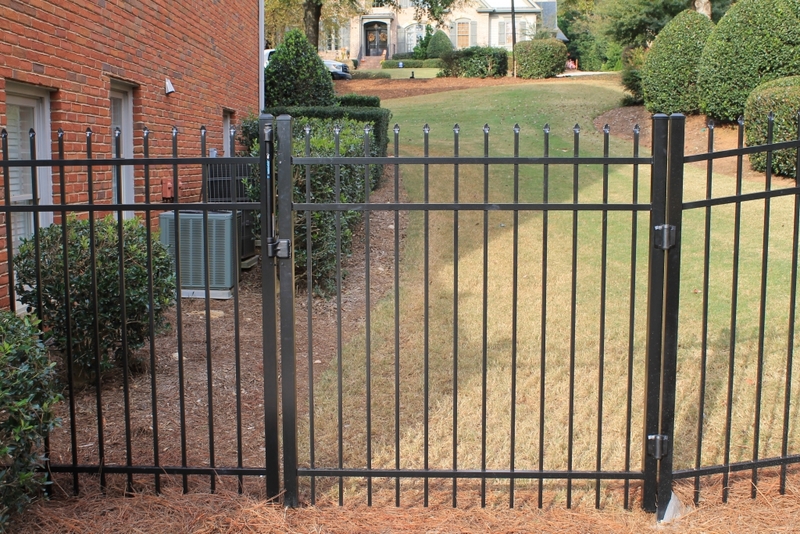 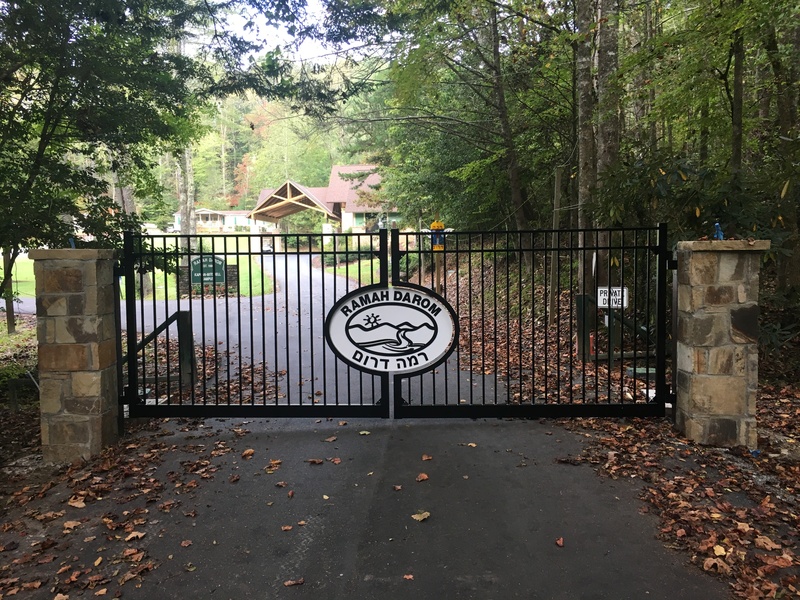 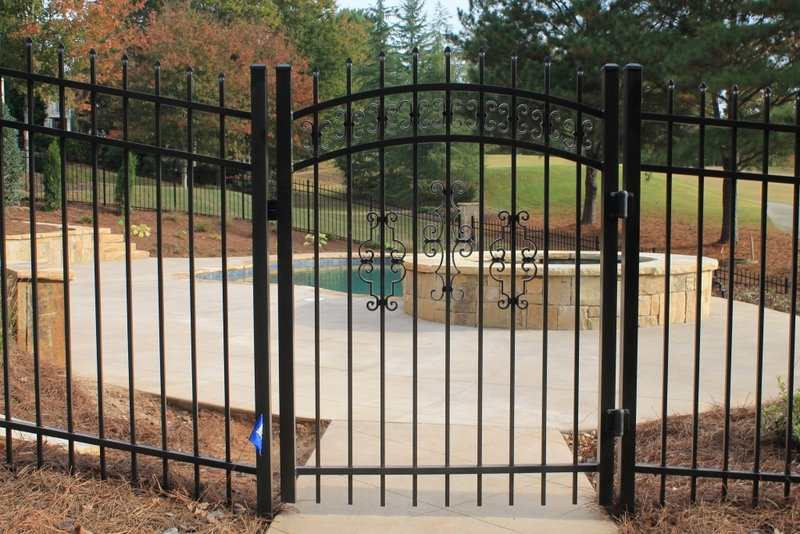 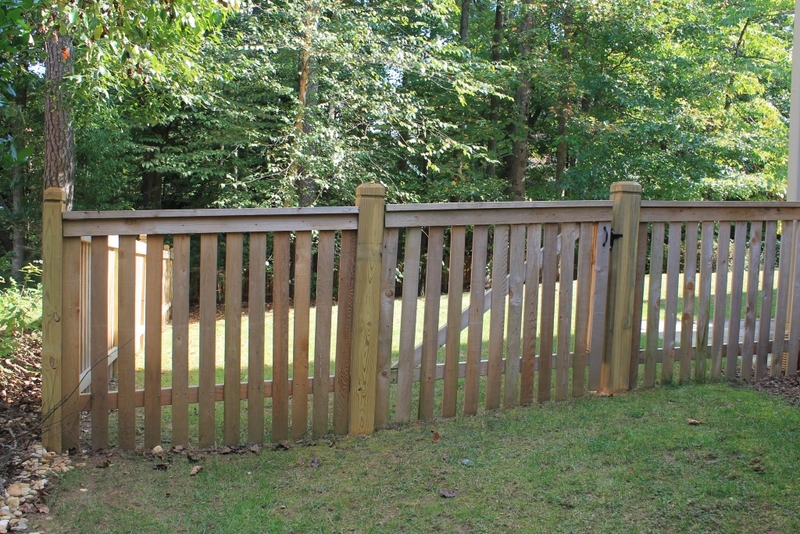 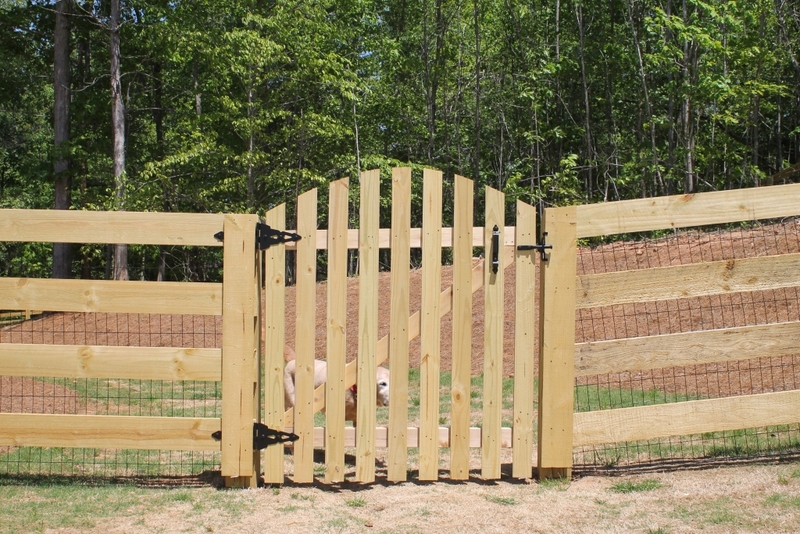 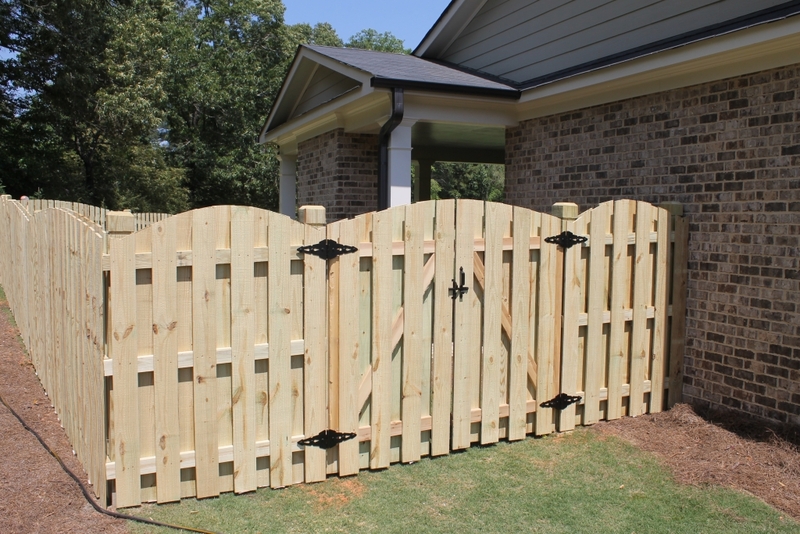 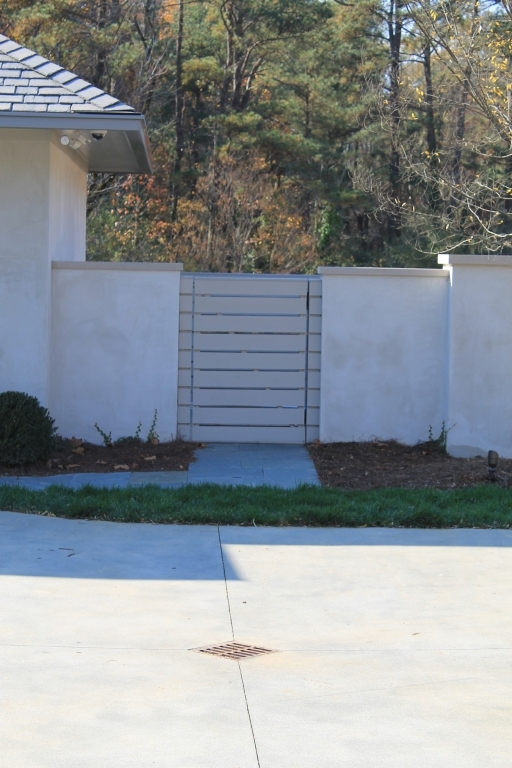 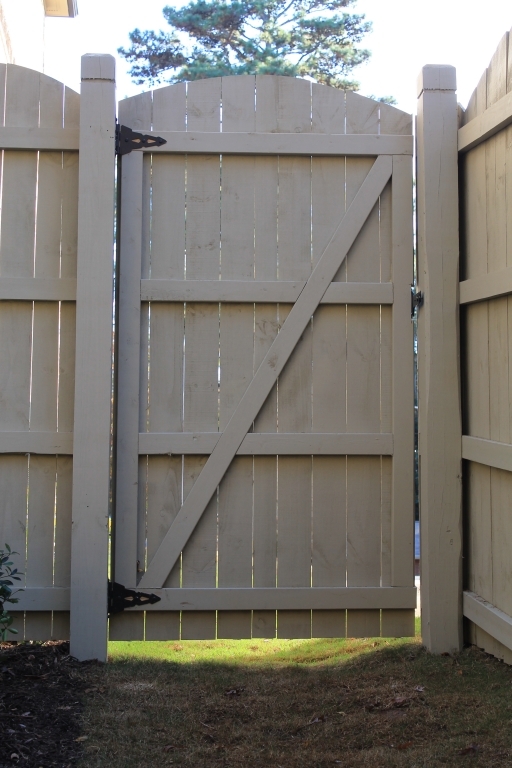 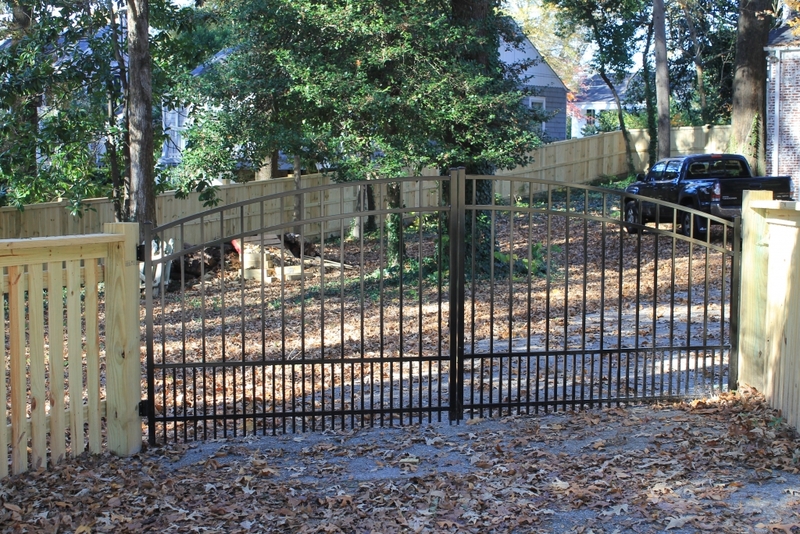 Arched Double Drive Flat Top Doggie Picket Gate Built on Slope. 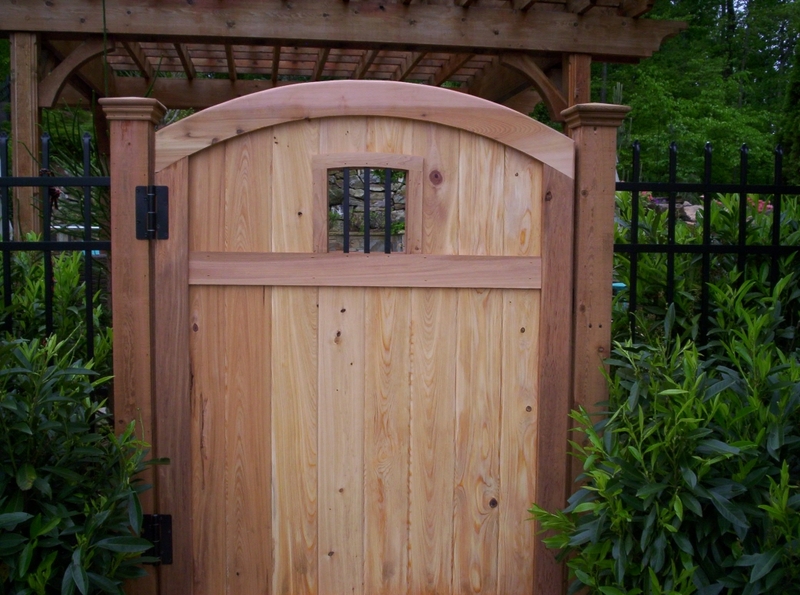 Arched Doggie Picket Gate w/ Finials, Butterfly’s & Decorative Scrolls. 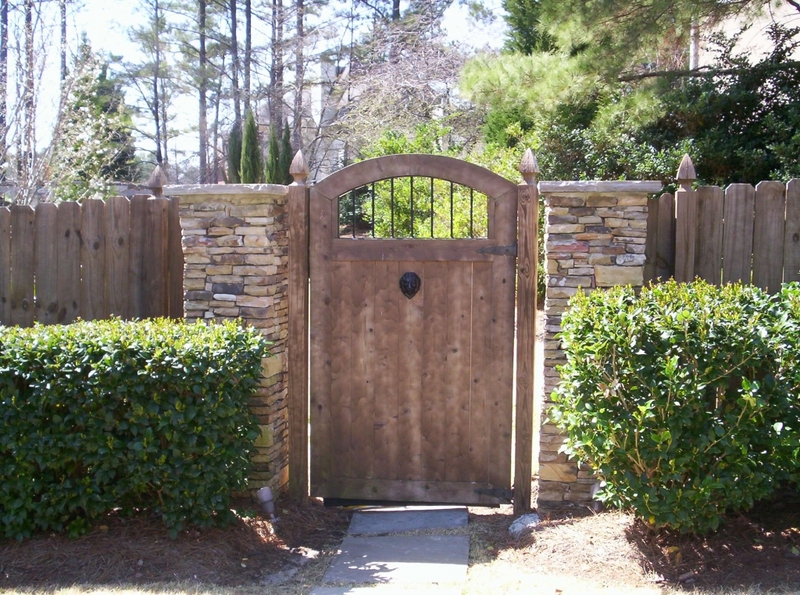 (2) 6′ Stone Columns w/ Caps.